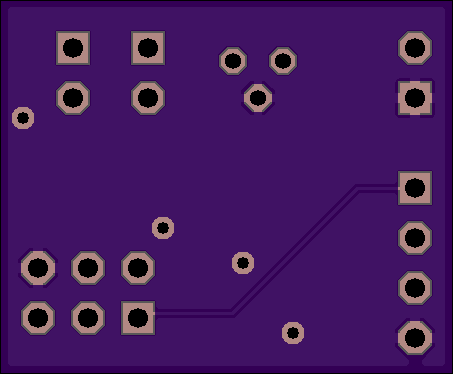 2 layer board of 0.71 x 0.35 inches (18.0 x 8.8 mm). Uploaded: January 22nd, 2019 22:12. 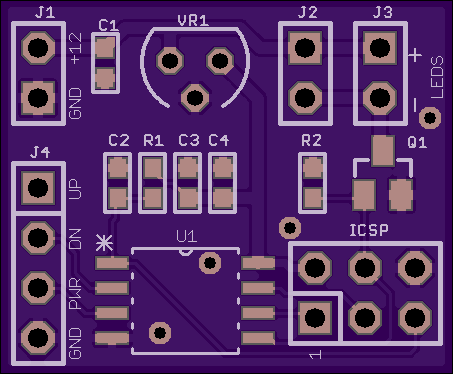 Stupid little board to allow a Sunon MF40100V1-1000U-F99 fan, which has a good/fail output, to replace a -G99 type, which has a tachometer output. The ATTiny looks for the fan’s pin to be low, and if it’s low it sends pulses back to the Einsy. Why? Because I have some -F99 fans but want to put a good Sunon fan in my Prusa I3 Mk3. The Prusa will think the fan failed without some tachometer pulses. Plus, this gives it that one more thing to go wrong. 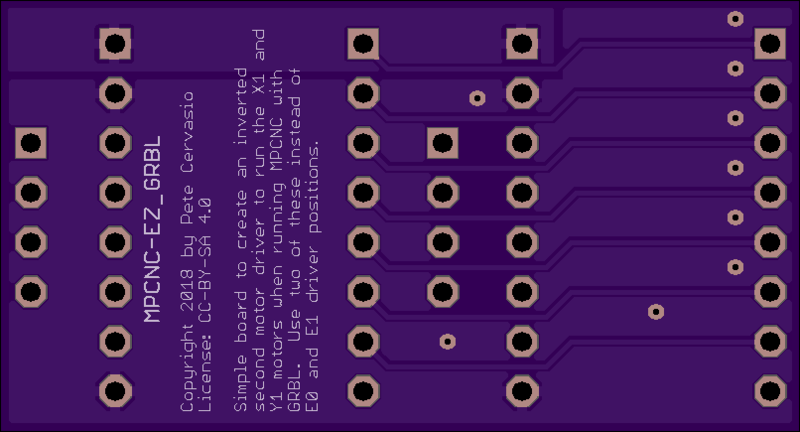 U1 is an ATtiny85 but a 25 would work just as well. I happen to have 85s here. Software: Easy as pie and not included… if pin D0 is low, send out pulses on pin D1, otherwise don’t do that. 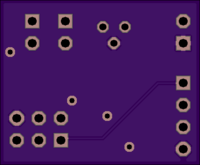 2 layer board of 1.50 x 0.70 inches (38.1 x 17.7 mm). Uploaded: October 31st, 2018 01:55. 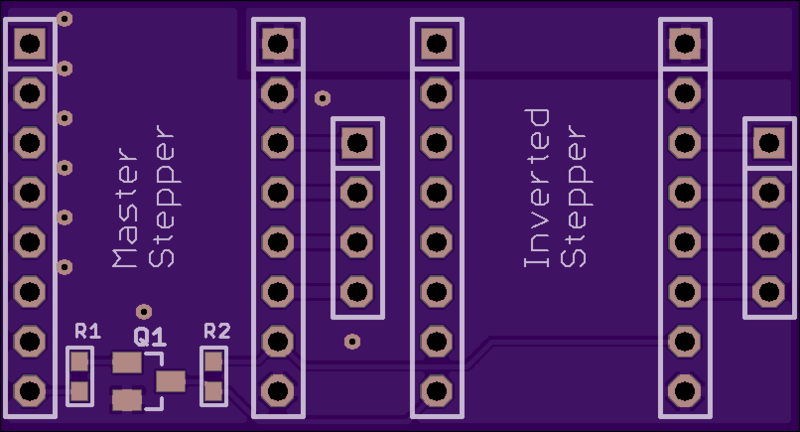 Slight redesign of Giovanni Bauermeister’s ESP01 USB Programmer. He used CH340C chips while I have CH340G, so I had to add the 12MHz crystal. While I was at it I did my own layout in Eagle 7, since that’s what I have and know. Please see his design at https://github.com/bauertronix/esp01-usb-programmer for more information. The ESP-01 points away from the USB connector. I believe this is opposite of Giovanni’s. Uploaded: October 13th, 2018 21:36. 2 layer board of 0.91 x 0.75 inches (23.0 x 19.0 mm). Uploaded: August 3rd, 2018 20:18. 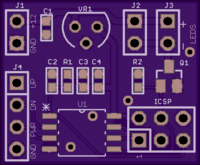 ATTiny85 based LED strip dimmer. Using up 78L05s I have laying around, and a DMG3404L mosfet to send the PWM out.